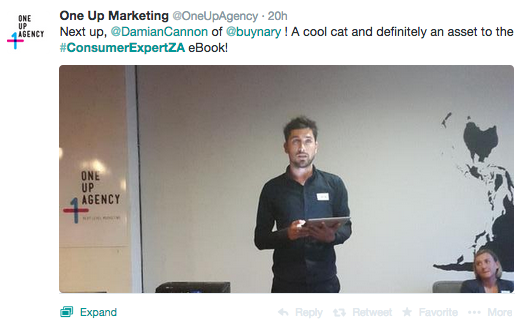 The #ConsumerExpertZA evening was hosted by eBook curators One Up Agency and Marketing Update. The first expert to address the audience was Dirk Tolken form Semantica Digital. Dirk shared the upcoming trends for Facebook and Twitter in 2015. All I can say, there’s a few interesting features in the pipe line for Twitter in the near future. 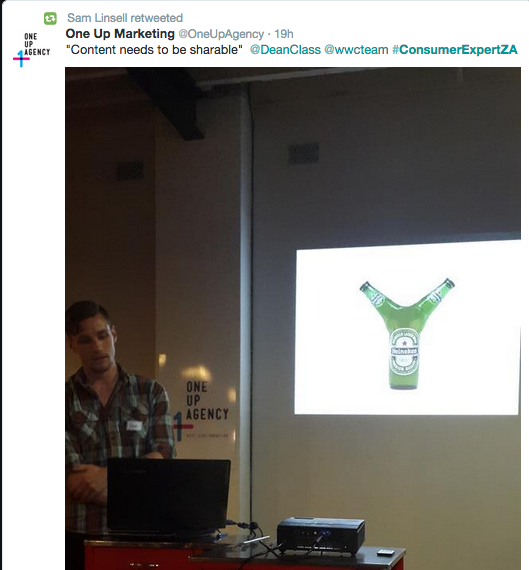 Next up was Head of SEO at World Wide Creative, Dean Claassens to tell us more about optimising content for your consumer. One of Dean’s key points was; “Content needs to be sharable.” Keep that in mind the next time you work with content for specific consumers. After 7 years, Boomtown doesn’t see themselves as experts, yet! 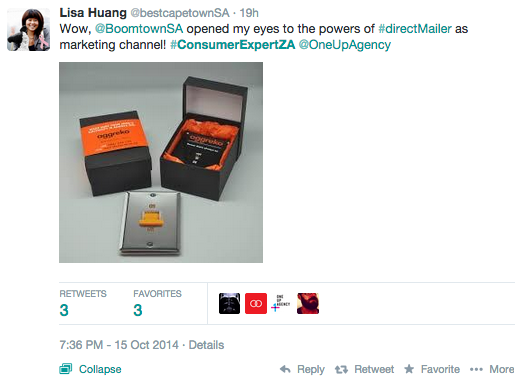 Boomtown amazed everyone with the forward thinking and like they would say: Strategy+Creativity = BOOM! That is exactly what they manage to do. Pushing boundaries at BNRY (Buynary) is Damiain Cannon. Damian shared his insights on the fast growing sector of mobile in South Africa and Africa. He mentioned big names like Uber and FitBit, and how mobile apps and devices are ‘working’ for the consumer. Last but not lease was Keisha van Vuuren, PR queen from TinCan. Keisha just made it clear that the power of a well written press release should never by underestimated. Also interesting stats to look at is the type of tweets posted during the event. 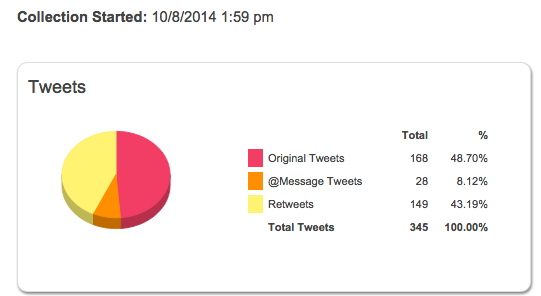 The majority of the tweets was original tweets from user’s attending the event. A few exciting things coming up in 2015 in the world of Social Media, SEO, Mobile and PR. Next year’s event is only going to be bigger and better! Keep your eyes open for upcoming events from One Up Agency! Have to say, fantastic and very unique round up! Love the Twitter analysis also, great ‘hook’ on good content. Glad you liked it Alex!